I know I know I don't post much..Actually I feel like I've been doing better lately so score for me! It will be so nice to move in some day and have lots of little decorating projects that I can whip up a post about. I'm doing absolutely nothing as far as decorating or crafty stuff goes in this rent house so I'm totally relying on the construction progress. BUT....there has been no progress on the house in over 2 weeks. Nothin. I know it will all work out in the end and we will be so happy to move in and get settled but I'm really nervous about the next 4 1/2 weeks. Why? Because we have to move out of our rent house! Our lease has been extended to the max and we may very well be moving into an unfinished home. As long as we have heat and running water I'm ok with that. We have lived for a year without a kitchen so why not;) Nervous smirk inserted here. That being said I wanted to share which way we are going with the master bathroom. 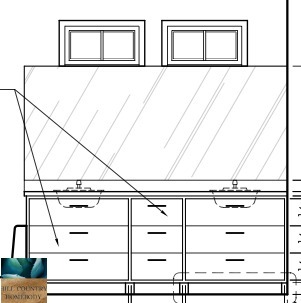 Here is the vanity that we had Wilson (the architect) draw up. 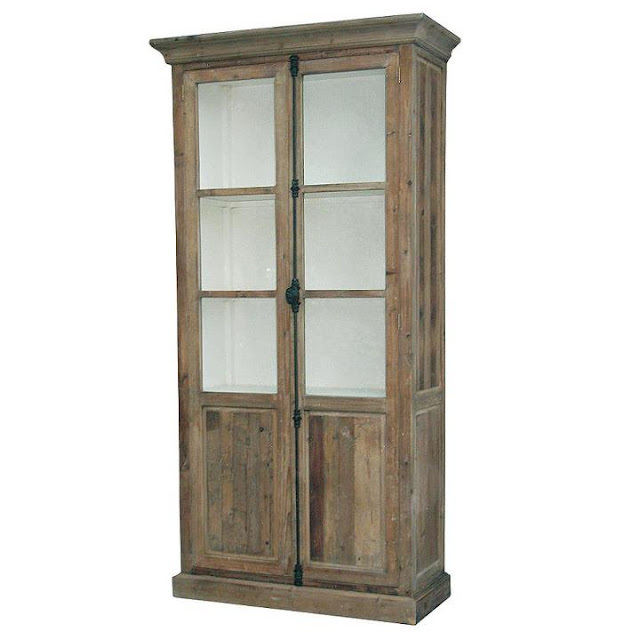 We wanted it to be simple and it will probably be stained to be a little rustic. A couple of months ago we found this hutch below at a warehouse sale and thought it would be great in our master bath on a wall that we had planned for cabinets. So we nixed the cabs and are going to go this route. Can't you just picture big fluffy white towels all rolled up in there? Along with some rustic wood we will have concrete countertops. 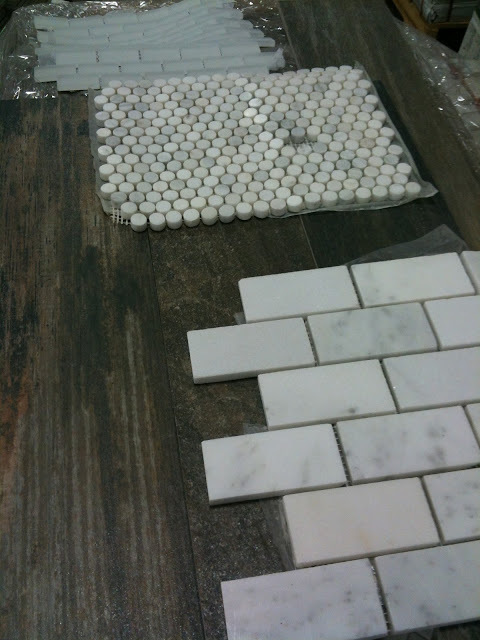 Way back in our younger days (2003 to be exact;) we made our own concrete countertops for our guest bath. That was back before I even knew what a blog was so there is no tutorial or detailed pics but you can check it out here. I did however fall in love with this tile display a few months ago. 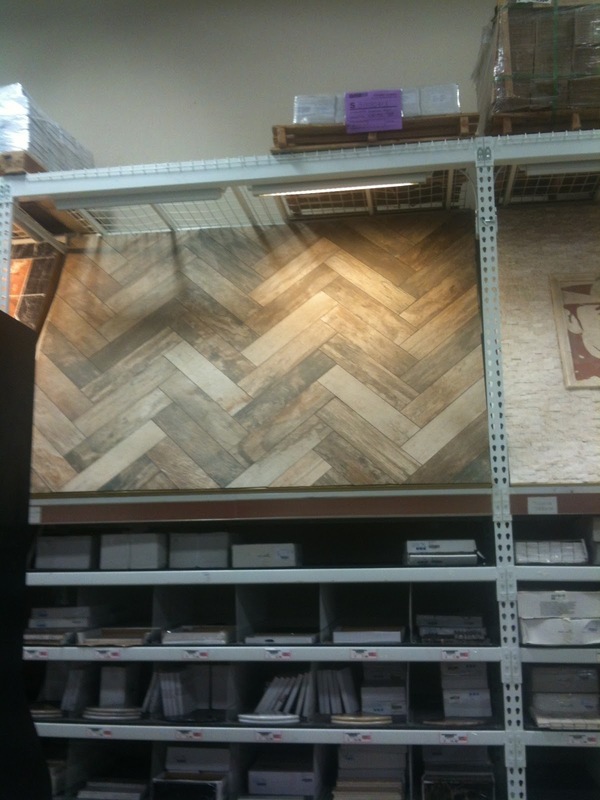 My initial thought was to do this herringbone pattern on the large wall that will be behind the shower and tub. Then I found out it would cost $300 more to do this pattern. Either way I think it will look awesome in an unexpected place in the bathroom. So when I found it on clearance for 1.50 sq foot I bought what they had and I'm praying it is enough. While I was checking out we realized it isn't the exact tile that was on the display and is actually a bit darker but I think it will still work and it measures up with my 1.50 sq foot tile budget. That's right...that is our sad little tile budget. Do you know how hard that is to do? 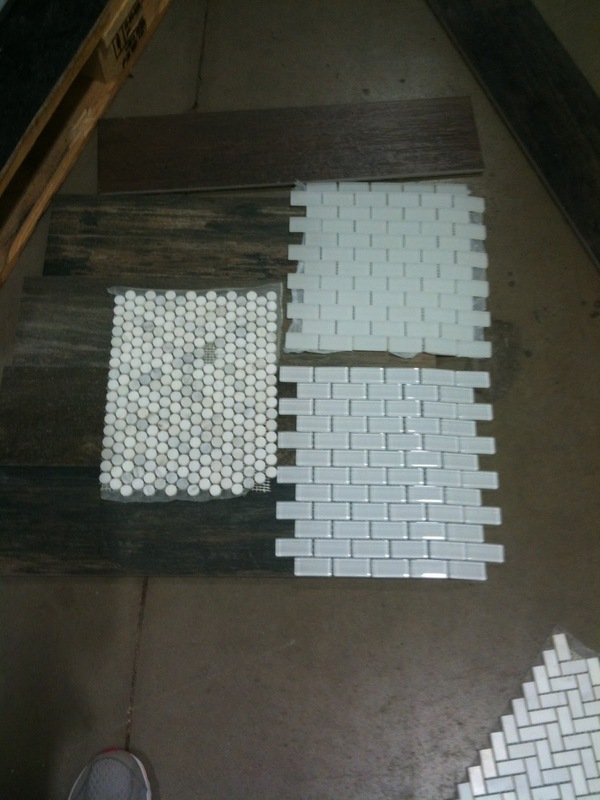 So here is the darker wood tile along with a Carrera marble penny tile for the shower floor and either this frosted brick or shiny clear brick tile as accents. I'm still trying to figure out the layout. It isn't just falling into place that is for sure. I came across this picture and it reminded me of some of the tones and textures we are going to end up with. Wood, marble, concrete and pendent lights. I also came across these tiles below. 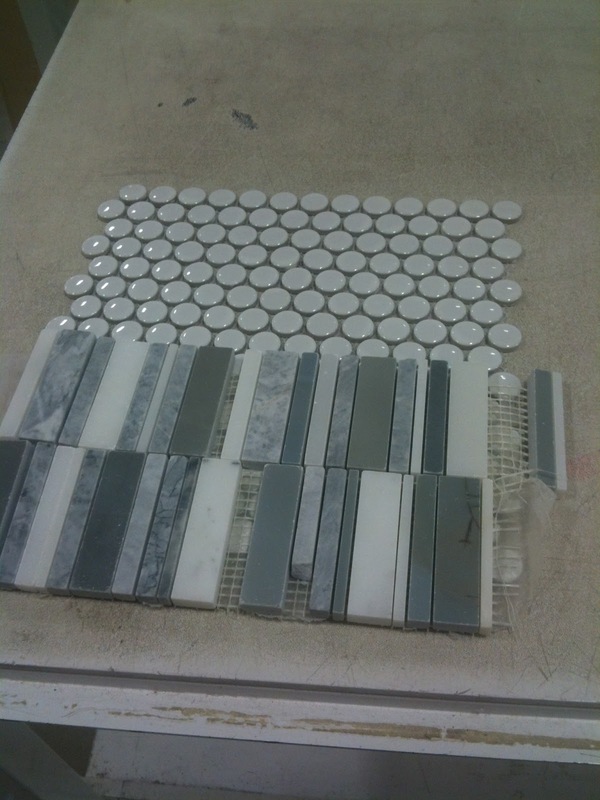 I may very well nix the small brick tiles and just go with these larger Carrera subway tiles but there is just something about the modern look of the smaller glass tiles that I can't let go of. Oh the suspense of what we will choose! HA! 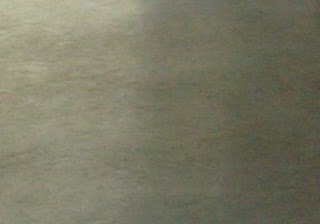 This is just a closer yet blurrier look of the wood tiles and frosted little guys. While my search was on I also threw this waterfall tile and white penny tile together and really like the look but I don't think this is the route we want to go in the master. Maybe someday we can use these beautiful tiles in another bathroom. I'm thinking my tastes will have changed by then though because I have a feeling me and my man aren't going to want to think about tile again for another 10 years at least! So what do you think? Have you used the wood look tiles before? We almost used them in our last house but I was afraid for some reason. Hm? Guess I've overcome at least one of my fears in decorating..Or have I? Howdy homebodies! Amidst all the minor yet major decisions we are making for the construction of our casa we do occasionally get a glimpse of how things will actually turn out! What do I mean you ask? Well a lot of what we are doing is just imagining how this and that will look and if it will work. 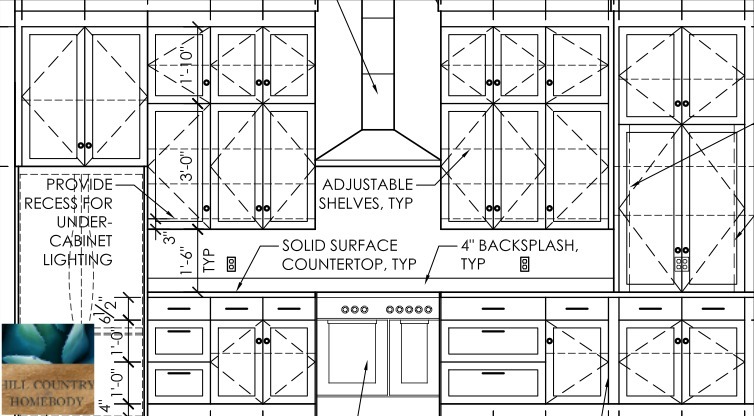 But....we decided we needed to get specific about our kitchen cabinets in order to avoid any mistakes once they are being built. So we hired Wilson the architect again to draw up exactly what we are looking for in the cabs. This is something we previously thought we could just draw out and talk to the cabinet guy about but we have had so many hiccups that we don't want to chance any miscommunication. Wanna see what we are shooting for? Here is how it all looks from up above. The main wall of cabinetry is back behind the island. 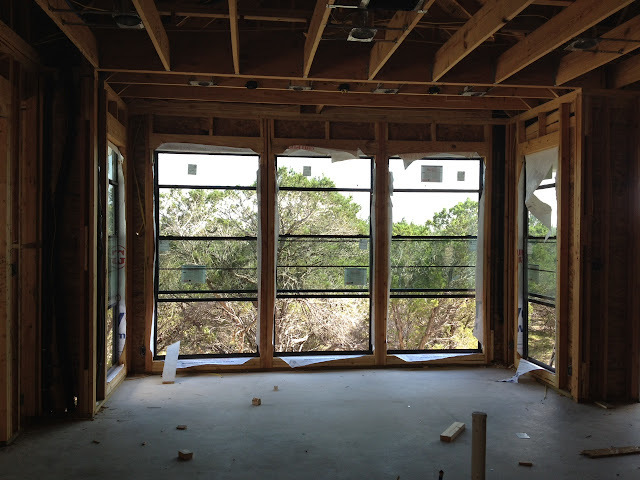 The main area of the kitchen faces these windows which will be where the dining table sits. We can't wait to clean up those trees a bit more and see what we will be able to see while we scrub the dishes. I'm going to show you the other options we considered going with the kitchen cabinets and the bathrooms too. 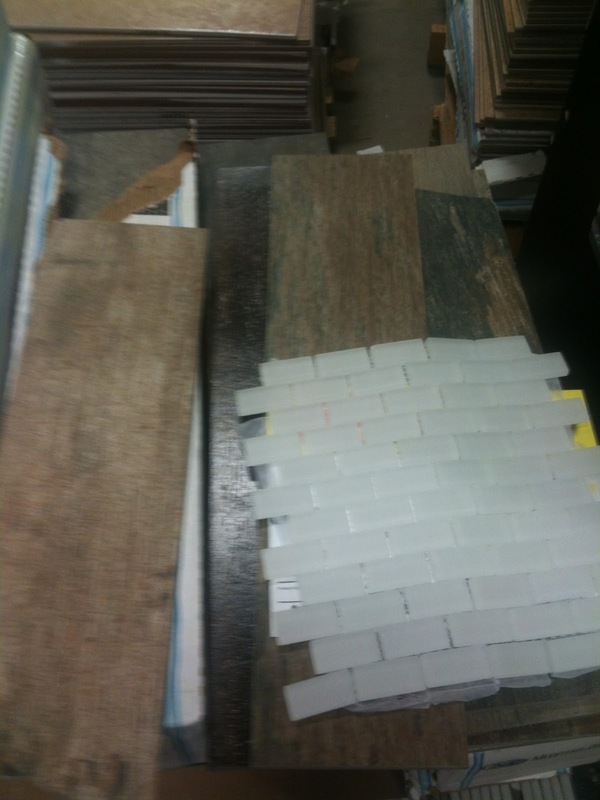 But first I HAVE to make a decision on the master bathroom tile..It shouldn't be so hard but there are so many choices. Check back soon! While I keep posting pics of the front of the house as the trim was painted and the roofing is finally coming to an end, I the loco homeowner have been googling, amazoning, Ebaying, and pinning till my fingers hurt and my mind is fried. 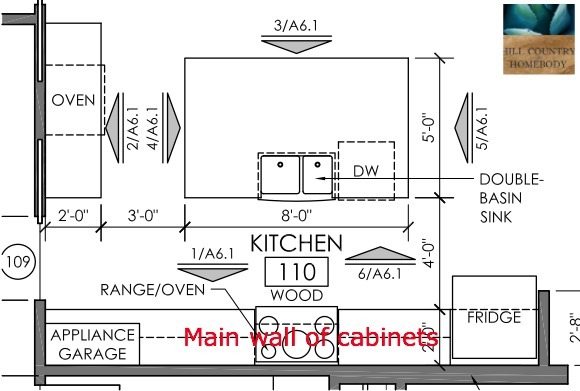 Move an electrical outlet depending on what the kitchen drawings show in regards to the appliance garage we added! master bath, jack n jill bath, guest bath, powder bath, entry, laundry room, porches, either side of the garage, and corners of the house, (We found all the kitchen lights months ago at the Pottery Barn outlet!) but....I do need to order the pendant cords to go with them. Did I say we were going to get this done this week? Well at least I scratched off a couple? Let's end this picture-less post with this pic of how the front porch, roof, and trim are coming along. 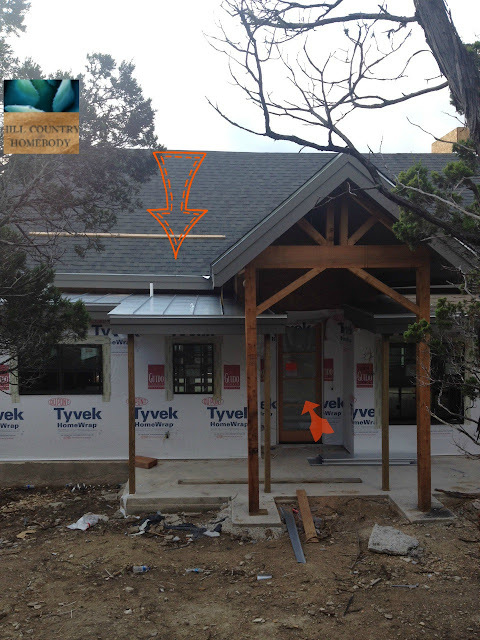 Here is the metal roof and shingles look together. I was a little nervous but we likey! The dotted arrow is pointing to the latest additions (the Galvalume metal roof, Sherwin Williams 'porpoise' trim, and our Duration shingles in Estate Grey/Gray). The solid arrow points to a little thing people like to avoid when building. A bright orange violation sticker! Woohoo!...Thankfully it's not a huge deal but I did have a little palpitation when I saw it. 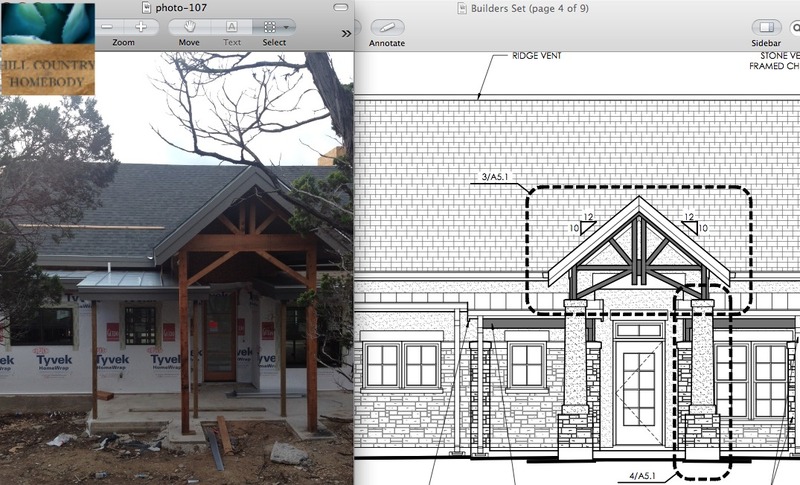 Just for kicks here is a side by side of the architectural drawings and the actual house. We had to tweak the cedar above the front door a bit and get the framers to reframe for an 8 foot entry door but other than that it's like the drawing is coming to life! Oh I can't wait for things to start changing inside so I can show you around!! !